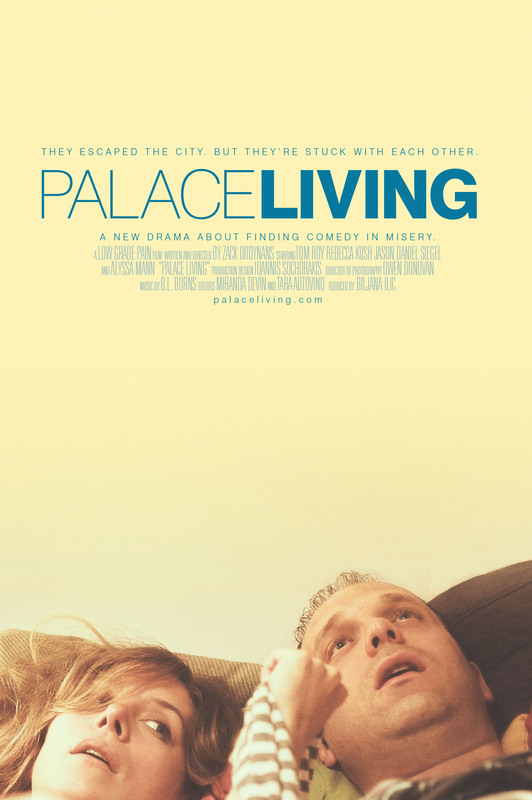 PALACE LIVING is available now! The first day of the new year is also the beginning of a new chapter for PALACE LIVING, which is now widely available for the first time. Watch the film here in HD as a video on demand (48-hour rental) or as a digital download that you can own and watch whenever you want. For those of us behind the scenes who have been working on the film for years, and all the fans, supporters and curious onlookers who have followed the film’s progress, it’s very exciting to finally see the film get out there. This film would not have happened without the support of so many people, and I personally feel an enormous amount of gratitude to have been able to take this journey with all of you. I’m proud of the film we made. I think it not only holds up on its own as a comedy/drama with unexpected twists and turns, but it stands as a tribute to last days of Grandview Palace/Browns Hotel and a Catskills resort scene that effectively no longer exists. If you’re checking out the film for the first time… enjoy! Thanks for your support. Email us at palacefilm@gmail.com, or post on our Facebook or IMDB pages to let us know what you think.